8-8-8 SEU Service entrance cable has PVC jacket to withstand harsh environmental conditions. It has outside diameter of 587 x 380 mil. 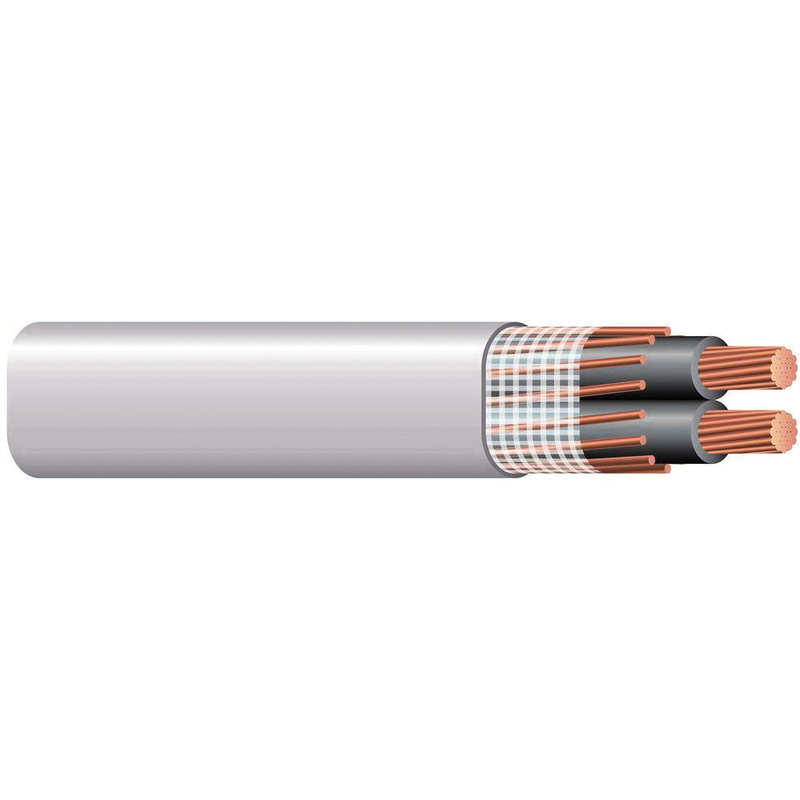 This copper cable has current rating of 55-Amps and voltage rating of 600-Volts. It helps in supplying power from service drop to meter base and from meter base to distribution panelboard. It withstands temperature rating of 90 deg C. This 500-ft cable comes in reel. Cable is UL listed and meets National Electrical Code, Federal specification A-A-59544 standards.